Self-reflection fuels growth. Unfortunately, not all self-reflection is created equal. Too often, what we call “inventory taking” is little more than an ego-building celebration – or and ego-crushing pity party. Although our own experiences certainly contain potent lessons, the only antidote to self-centered self-reflection is to temper it with the lessons of others. Even better if those others are the best minds in the world. 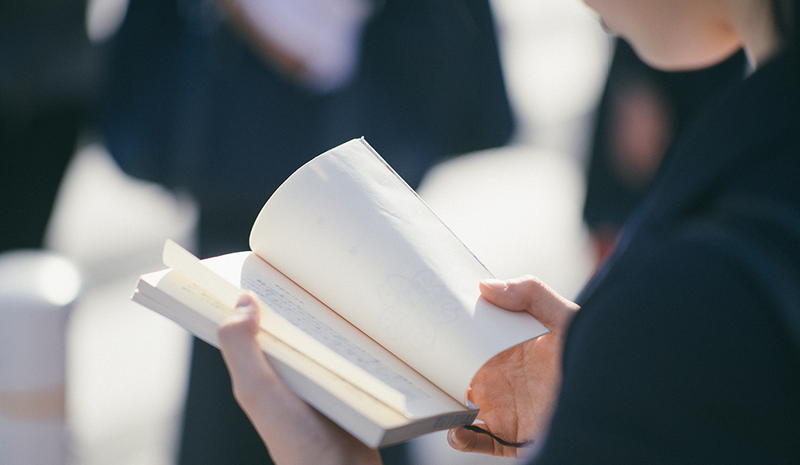 Whether you’re entering your career or are a seasoned professional, these lessons on growth, resilience, leadership, and success – straight from the pages of some of this year’s best business books – add the outside perspective we all so desperately need. Top of Mind: Use Content to Unleash Your Influence and Engage Those Who Matter to You, by cofounder and CEO of Influence & Co. John Hall, examines how both leaders and brands build trust. Rather than rehash the interpersonal skills associated with authenticity, Hall orients his approach around content. Why? Because today, content is where relationships live. It all starts with our most valuable resource: time. Trust-building content means playing the long game, rather than looking for quick fixes and easy wins. This is especially powerful when it comes to transparency. Creating honest, open-handed relationships through content must be product-agnostic: It has to first solve real people’s real problems and, only after that, move your audience toward what you want for yourself. 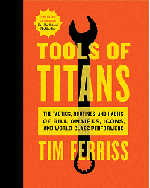 If 673 pages qualifies as “cliff notes,” then consider Tools of Titans Tim Ferriss’s cliff notes for life. The text compiles a near-exhaustive list of tactics, takeaways, and tips Ferriss has gathered over the last two years of his podcast, The Tim Ferriss Show. Divided into three parts – “Healthy,” “Wealthy,” and “Wise” – the book distills life lessons, morning rituals, workout routines, investment strategies, and (yes) must-read books from a veritable who’s who of the successful. Have you ever wondered what skills and qualities set entrepreneurs apart from the rest? In this book, Joel Comm and John Rampton discuss the qualities that unite successful entrepreneurs. Most notably, these include drive, a natural tendency to take action, and a borderline compulsive desire to grow and move forward through adversity. Written by two successful entrepreneurs and featuring stories, insights, and motivation from plenty more, Self-Employed offers serious inspiration for anyone running a business, looking to do so in the future, and even closet entrepreneurs who just haven’t discovered their passion yet. After facing the sudden and untimely death of her husband, Facebook COO Sheryl Sandberg found herself searching for answers. The quest led her to Wharton business professor and Option B coauthor Adam Grant. Together, the two found peace in an unlikely place: data. Option B is the rare breed of book that mixes storytelling with science, metrics with meaning, and depth with data. Sandberg’s deeply personal account of pain and recovery –along with the stories of several others who have embraced resilience in the face of striking setbacks – offers hope, a practical way forward, and even laughter. Since being coined in 2010, “growth hacking” has become standard terminology far beyond the world of startups. Unfortunately, all that growth (pun intended) has led to misunderstandings about exactly what growth hacking is. Perhaps most dangerous among the myths is that growth hacking is a “silver bullet” that relies on breathtaking moments of sudden insight. 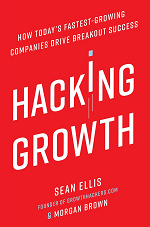 Written by the man who coined the term, along with GrowthHackers.com’s cofounder Morgan Brown, Hacking Growth is one part methodology and one part playbook. After dispelling numerous myths surrounding “growth hacking,” the authors work through case study after case study, many of which they were involved in firsthand. The book delivers a comprehensive approach to what is often little more than a buzzword. Much like growth hacking, the phrase “personal branding” often creates more heat than light. It’s ubiquitous, buzz-worthy, and vapid. That usual emptiness is precisely what makes The Road to Recognition stand out: In it, digital marketing pioneers Seth Price and Barry Feldman break personal branding into 26 lessons. Each lesson – “A for Authenticity,” “H for Helping,” “Z for Zeal,” etc. – contains key definitions, a direct contribution from one of business’s most recognizable names, and a plan of action. The result is a blow-by-blow account of how to launch, sustain, and promote the brand that matters most: you. Technically released in December of 2016, The Undoing Project is such an unlikely and powerful book that I couldn’t help but include it. Michael Lewis, author of Moneyball, The Big Short, and The Blind Side, chronicles the 30-plus-year friendship of Nobel Prize-winning psychologists Daniel Kahneman and Amos Tversky. Both Israeli citizens, Kahneman and Tversky pioneered the field known today as behavioral economics. For covering such a seemingly dry subject, the book packs more than an intellectual punch. Kahneman and Tversky’s relationship, which Lewis likens to a “marriage,” faced good times and bad. Beyond their massive contributions to the science of human decision-making, cognitive biases, and mental heuristics, emotions shine through. Without spoiling the ending, let me say The Undoing Project’s two final chapters had me in tears. No small feat for the story of the birth of an academic discipline! Self-reflection is a double-edged sword. Although critical to growth, it’s easy to let this discipline become mired in self-congratulation or self-pity. What we need is a little help. Whether you’re struggling with personal adversity or professional branding, longing to understand the human mind, or just in need of a crash course on life, the list above offers the help you’re looking for. Just be sure to choose your friends wisely. Aaron Orendorff is the founder of iconiContent and a regular contributor at Entrepreneur, Lifehacker, Fast Company, Business Insider, and more. Connect with him about content marketing (and bunnies) on Facebook or Twitter.